Now as the sun sets and full moon rises, i reflect back on this day. It was heart-warming. - this full moon is the (we think) 2597th lunar anniversary of several special things that come together. 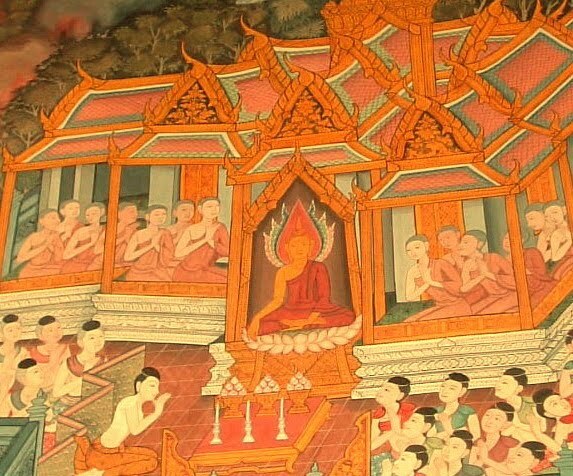 Its the lunar anniversary/commemorative day of the ordination of first bhikkhuni, founding mother Maha Pajapati Gotami, and her women companions. 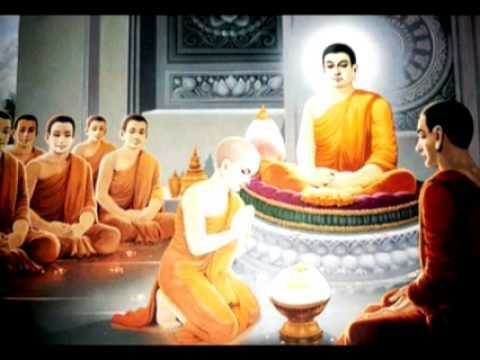 According to the Theravada tradition, Mahapajapati Theri was ordained by the Buddha himself. He also gave his blessing and permission to the bhikkhus to ordain the rest of the bhikkhunis - several hundred women, who formed our original our Sangha. With the coming into being of the Bhikkhuni Sangha, the Buddha's Four-fold Assembly or Four-fold Sangha also came into being - so this September full moon is also the lunar anniversary of our Four-fold Sangha of the Buddha's disciples and heirs. This year, this day was also especially wonderful for us, as our Dhamma sister, heart-sister in the path, Anagarika Michelle, shaved off her hair (with the help of many dear friends who came), donned white robes, and requested the Anagarika precepts. She looks just as she says she felt: "right". Like some beauty and virtue that was in her all along has now been just that much more uncovered and revealed. Or like the conch shell, as in the verse she recited, that is polished, and shines. A heart of very much mudita. Will share photos from the day with you later, when they come in. Many thanks to all of you who make the the living of this life possible in our world, and the freeing of the heart and uncovering of our natural virtue and light possible. May we all abide in such well-being, ease, and natural virtue and beauty of the clear and free human heart. This would be a very good thing for our human world, and for ourselves.